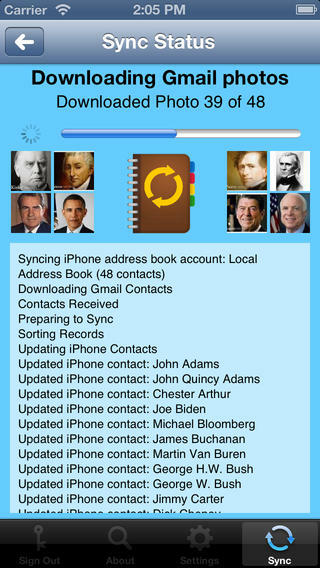 Contacts Sync For Google Gmail iPhone App Review: Ah-Mazing! 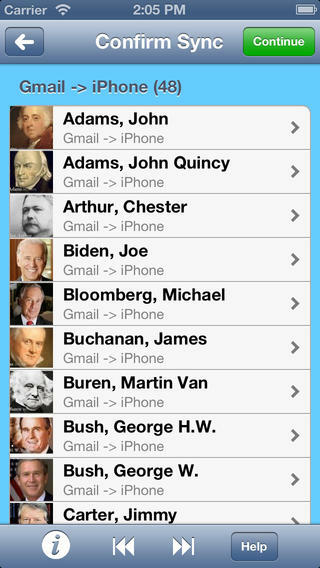 Contacts Sync For Google Gmail is an iPhone app developed by Playa Apps. 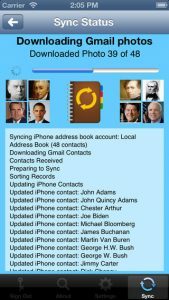 Now 25% off for a limited time only, this helpful app is a great tool for syncing your Google contacts with your iPhone contacts list. One of the most trusted iOS apps for syncing contacts between iCloud and Gmail, Contacts Sync for Google Gmail takes the hassle out of managing your contacts across multiple services. Sync for iOS devices can be a real headache. If you’re not careful, you can sometimes lose content during a sync. 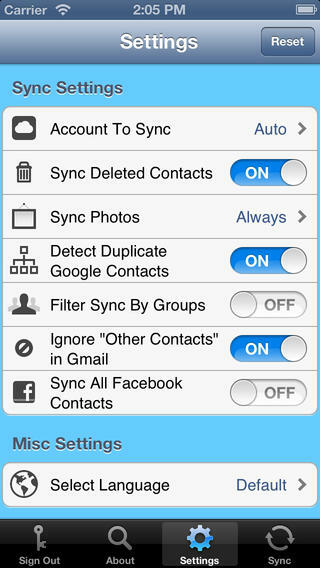 What makes Contacts Sync For Google Gmail so excellent is the level of control you have over the sync process. 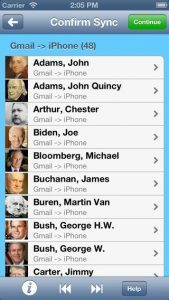 For example, this app boasts true 2-way sync that allows you to merge changes you’ve made to your iPhone contacts with changes you’ve made to your Gmail contacts. Photos, labels, birthdays and groups will also be synced! There are five different sync modes for users to choose from. 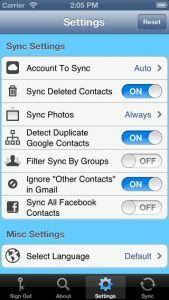 These are as follows: 2-way sync, Gmail contacts -> iPhone, iPhone contacts -> Gmail, manual sync, and Facebook contacts -> Gmail. This app has been tested with transfers/syncs of up to 10,000 contacts. As long as you have an iPhone 4 or later (or an iPad 2 or later), you shouldn’t experience any issues. With my own, much smaller contacts list, everything was hunky dory. Have issues with the app? There’s good news! Not only does Playa Apps have a support team, but the team speaks English, Spanish, and French. Syncing your contacts is always a bit nerve wracking. Most of us don’t remember people’s phone numbers, birthdays, or email addresses anymore, since that info is so easy to look up. Losing even one contact during a sync could be a disaster. Thankfully, this app makes it easy to sync contacts safely and reliably…and all in an attractive interface! 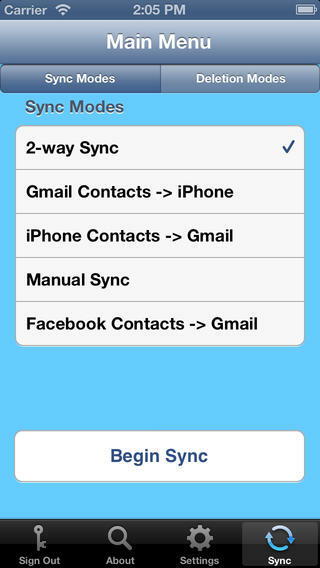 Contacts Sync For Google Gmail is available for iOS devices, as well as for Mac OS X. 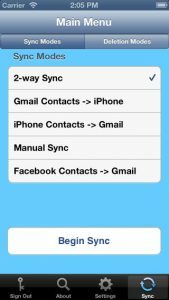 Contacts Sync For Google Gmailis compatible with iPhone, iPod touch, and iPad. Requires iOS 5.0 or later. This app is optimized for iPhone 5.